Zip n Stitch saves your clothes – and keeps you looking and feeling great! 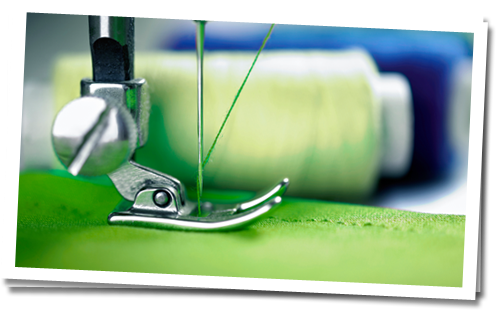 Klinke Cleaners knows your garments inside and out, and you can trust us for alterations, too. Drop off a garment at Zip n Stitch or any neighborhood Klinke Cleaners and it will be ready for pick up in a week or less. Order notification by email or text is available, too! Drop off at Zip n Stitch or Klinke Cleaners today. Zip n Stitch saves your clothes. Featured services include: Minor repairs, buttons, hemming, zippers, patches, and adjustments. 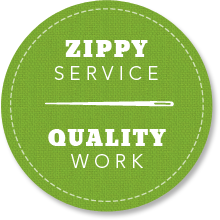 Zip n Stitch was founded by Klinke Cleaners in 2012 to provide the alterations services our customers need most.